The ICSI treatment is performed after the eggs are collected from the female partner. A specialized pipette is used to hold the mature egg. For picking up the sperm, a special sharp needle is used. A single sperm which is held by the hollow needle is inserted through the eggshell and it penetrates through the core of the egg. Once the sperm is injected, the needle is removed. The eggs are checked for fertilization after 2 days of this process. Reports suggest that the ICSI process is successful in almost 75% of the cases when it comes to fertilization of the egg. For a couple who has not been successful with the other standard IVF procedures are often suggested to go for ICSI. ICSI has a higher success rate in comparison with the other IVF procedures. The quality of the eggs and also its quantity tends to be good. 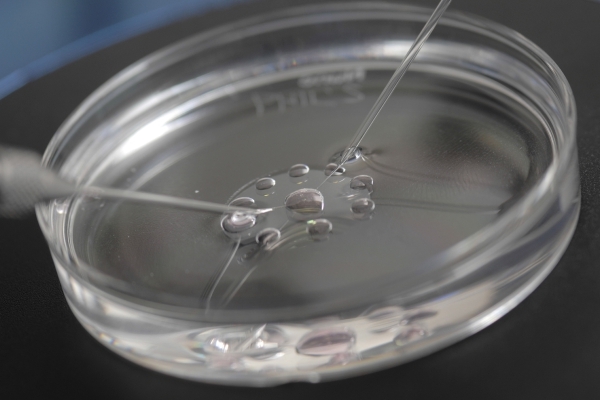 The success rate of IVF with ICSI depends on various factors that include the usage of the technique, the person making use of it and also on the individual patient. However, there are some side effects of the ICSI. Some potential problems can arise during the complete ICSI process. There can be a damage to the eggs. There are also chances that the embryo might fail to grow post-fertilization. However. the losses are very less as compared to the other procedures. Hence ICSI is said to improve the chances of getting pregnant.